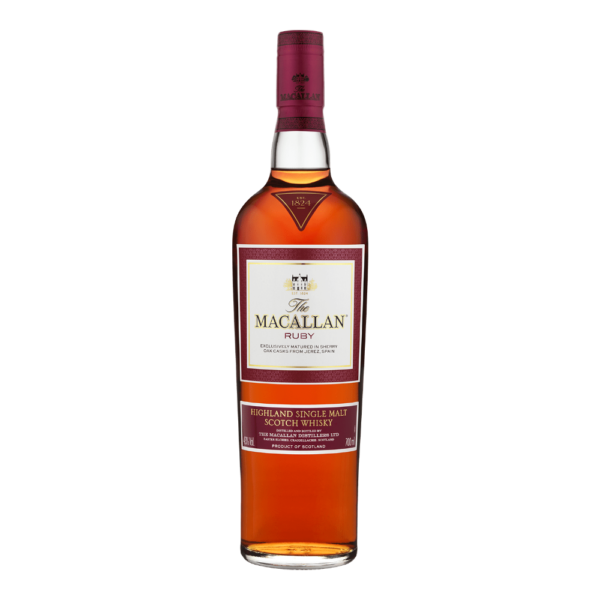 This Macallan Ruby is the final member of the 1824 Series (not to be confused with the 1824 Collection). 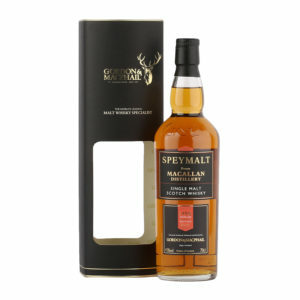 The series highlights the masterful distillery’s dedication to creating whisky with completely natural colour and takes you on a journey from lighter citrus notes to rich dried fruits from first bottle to last. 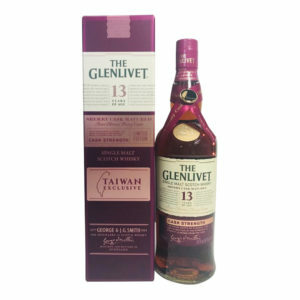  Each bottle has been matured in 100% sherry wood. 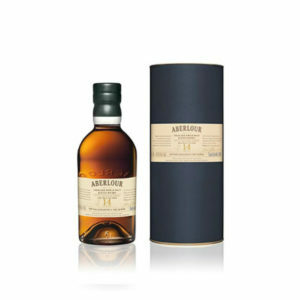 As the fourth bottle in the series, the Ruby showcases an incredible depth of colour picked up from the caskand is packing with flavours of rich dried fruits, treacle, rich oak and hints of cloves and cinnamon. 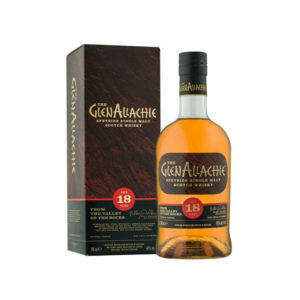 The flavours dance on your palate and really allow you to taste that incredible sherry influence. 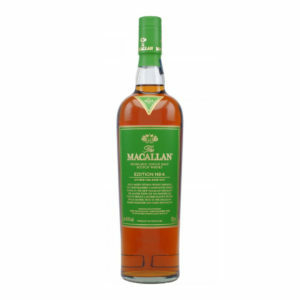 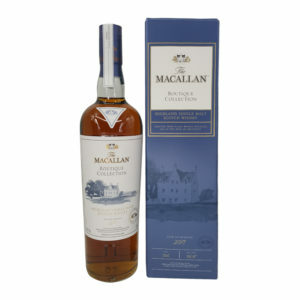 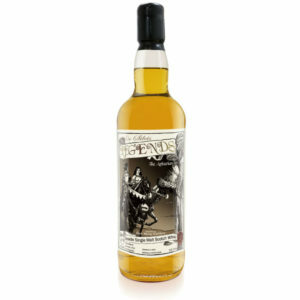 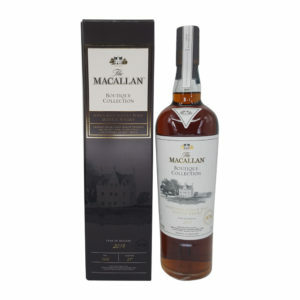 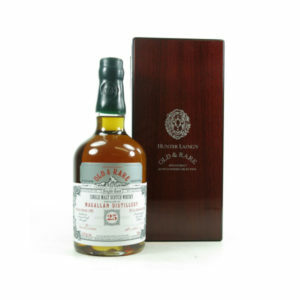 A superb Macallan expression with a fantastic colour and some obvious influence from the top quality sherry wood.